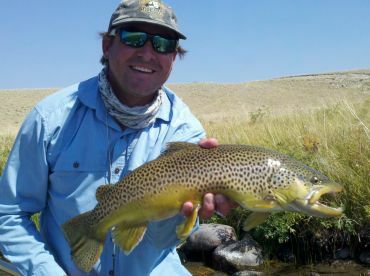 The lake fishing Montana offers should excite every angler. If you’ve been before, you know exactly what this beautiful state has to offer every angler. Imagine setting your lines surrounded by nature, mountains in the background, and bountiful waters to fish – every angler’s paradise. You’ll want to target Montana’s state fish on your trip, the Cutthroat Trout. This fish swims in clear mountain lakes and can reach up to 18 inches in size. 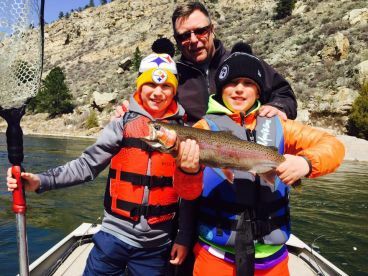 There are plenty of Trout species you can catch in Montana – Rainbow Trout, Brown Trout, Brook Trout, Bull Trout, and Lake Trout. 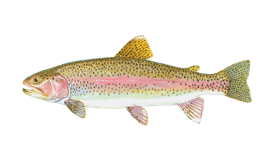 Anglers lucky enough to cast their lines in the right waters can also catch Golden Trout, available in less than a dozen of lakes. Or how about targeting Kokanee Salmon, another non-native species that can only be found in a handful of cold clear lakes? 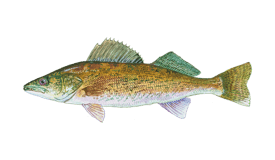 Other species include Whitefish in the western part of the state, Arctic Grayling, Northern Pike, Burbot (Ling,) and even a Walleye or two in Lake Elwell. Throughout Montana you’ll find plenty of lakes to choose from, including around 30 main lakes and a hundred smaller ones. Most were created when local rivers were dammed, and hold either native or stocked fish. As well as the ones mentioned below, lakes which offer good angling action from spring through fall include Lake Elwell, Lake Koocanusa, and Lake Mary Ronan. Ice fishing enthusiasts can make the most of Georgetown Lake, McGregor Lake, and Whitefish Lake in winter. This huge lake is great to fish year round – due to its size, it rarely freezes over completely. Fear not, the bays can be ice fished still! With a shoreline stretching over 185 miles, this is a heavily-fished lake. 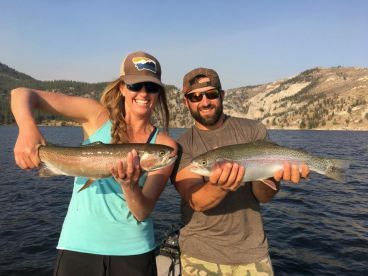 You’ll find Lake Trout, Kokanee Salmon, Whitefish, and Perch here, as well as the odd Yellow Perch and Cutthroat Trout. There are deeper points between Wild Horse Islands and Melita that are great to fish on. Excellent fishing opportunities await in Elmo Bays and Big Arm too. This is the third largest lake in Montana, with over 70 miles of shoreline. If you’re staying in Helena, you’re likely to be fishing this lake. Spend your day targeting both warmwater and coldwater species, including Rainbow Trout, Walleye, Smallmouth Bass, Northern Pike, Yellow Perch, and Mountain Whitefish. Easily accessible, Swan Lake is situated off State Highway 83. There’s plenty of space for anglers, as the lake is 10 miles long and covers around 2,500 acres. You can catch Cutthroat Trout, Rainbow Trout, Bull Trout, Northern Pike, Kokanee Salmon, and more in these waters. Although access is limited to Bighorn Lake, this 70-mile-long lake is well worth a visit. Once created by damming the Bighorn River, you can now catch Burbot, Channel Catfish, Largemouth Bass, Sauger, Crappie, Brown Trout, and Rainbow Trout here. Located near West Yellowstone, this 16-mile-long lake is great year round. 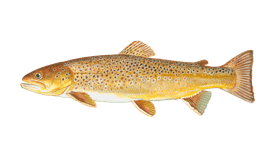 In the spring, you can fly fish for Brown Trout and Rainbow Trout. In the winter, come to Hebgen Lake for excellent ice fishing. These waters are also home to Brook Trout, Cutthroat Trout, and Mountain Whitefish. When ice fishing in the long winters in Montana, use lures that are silver, gold, black, pink, or orange. For bait, try salmon eggs or worms for great results. When ice fishing in Montana, you’re only allowed to have two lines in the water at once on any given lake. Try trolling the large lakes, like Flathead Lake, between April and June or between October and November. Large spoons that are either silver-and-red or gold-and-red work well. You’ll only need a 2 oz jig-head for vertical jigging in most of Montana’s lakes. When heading into deeper waters, you’ll need larger heads. Good colors to choose from include chartreuse, white, and glow-in-the-dark. 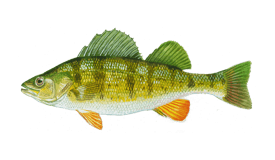 Nothing beats adding some fish as bait, like Perch or Northern Pike. It is illegal to use salmonids as bait. Lake fishing in Montana can be enjoyed year round, as long as you don’t mind wrapping up and ice fishing in the winter. In the fall, be aware of bears, and keep your bear spray on hand. If fly fishing, the spring is great for fly hatches, bringing the Trout to the surface. Head to Montana for your next fishing trip – surrounded by nature and lakes brimming with fish, you’ll surely keep coming back for more.